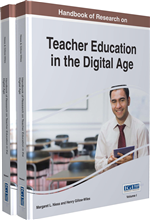 In this chapter, a teacher educator and three practicing teachers consider how their experiences in an English education methods course that explicitly used Google Drive to support dialogic writing and learning has informed their teaching practices. The teacher educator frames the use of Google Drive in the methods course within a sociocultural perspective of writing as a distributed, mediated, and dialogic process of invention. Drawing on autoethnography as a method of inquiry, the teacher educator and the three practicing teachers consider the ways they wrote and learned in the methods course with Google Drive and how that experience is shaping the way they are supporting dialogic writing in their own teaching. The chapter concludes with a discussion of the major benefits and drawbacks of teaching writing within a sociocultural framework, including the issue of “heavy borrowing” and other tensions that arise within the institutional constraints of teaching writing within schools. In an English education methods course within a Master of Arts in Teaching (M.A.T.) program at a large, suburban university in the southeast United States, Ryan introduces pre-service English teachers to a sociocultural framework for teaching writing. This sociocultural framework is consistent with a programmatic emphasis on social processes of learning and the support and development of literacy practices within classrooms (Beach, Thein, & Webb, 2012). Ryan introduces this sociocultural framework, in part, by modeling writing pedagogies and sharing examples from practicing teachers’ classrooms as representations of teaching practice (Grossman et al., 2009). At the time Kim, Hannah, and Caitlin were enrolled in Ryan’s methods course. He was beginning to use Google Drive to organize the course content online and to provide an online, dialogic space for the enrolled pre-service teachers to create and share their coursework. Ryan was initially interested in leveraging the affordances of Google Drive to model approaches to teaching writing consistent with a sociocultural framework and to encourage the pre-service teachers to learn from and with each other by sharing their coursework in an open platform such as Google Drive. Ryan initially set up the share settings of the Google Drive folders to allow anyone enrolled in the course to access the documents placed within those folders. By default, this setup enabled the pre-service teachers to see each other’s documents from the first keystroke to the final edit, including any revision suggestions or comments made along the way. Ryan established this open arrangement for the express purpose of supporting a writing community, in which pre-service English teachers wrote with and for each other on individual and collaborative assignments; enacting a sociocultural approach to writing development and learning that involved constructing meaning within and across texts; and modeling writing instruction that explicitly expanded notions of authorship in acknowledgement of the socio-historic resources writers draw on when writing (Bazerman & Prior, 2004; Dyson, 1993; 1997; Prior, 2006; Razafar & Gutierrez, 2003; Schultz & Fecho, 2000). Not all of the pre-service teachers were initially comfortable with this open arrangement of composing, sharing, and receiving feedback. Ryan encouraged the pre-service teachers enrolled in the course to change the share settings of their Google Drive documents if they felt uneasy or exposed by any aspect of the open arrangement. Since taking the course with Ryan and completing the M.A.T. program, Kim, Hannah, and Caitlin are now practicing English teachers, who are considering how to support approaches to teaching writing informed by sociocultural theory in their own classrooms. Some of these approaches involve the use of digital tools like Google Drive that allow for online, synchronous sharing and composing; however, other approaches involve little to no digital technology but aim to support similar writing environments, in which writing is openly shared in various stages of development. When teaching the course, Ryan was explicit that enacting sociocultural approaches to teaching writing may be supported by, but are not dependent on, online digital tools like Google Drive. In more recent conversations, Ryan discussed with Kim, Hannah, and Caitlin how they could support sociocultural approaches to teaching writing with the tools that are available to them within their particular schools. In what ways did the open arrangement of the graduate course using Google Drive, in which your writing, your peers’ writing, and instructor/peer feedback were accessible, shape how you wrote and learned within the context of the course? How has the experience of writing in the open arrangement of the graduate course using Google Drive shaped how you are supporting your own middle/high school students’ writing and learning? Google Drive: An online file sharing and collaborative composing platform. It is available at http://drive.google.com AU14: The URL http://drive.google.com has been redirected to https://drive.google.com/. Please verify the URL. .
Kaizena: An online application that can be used with Google Drive to leave voice comments on documents and presentations. Heavy Borrowing: The authors’ term for taking up conceptual-level features of another writer’s writing (e.g., borrowing the warrant from an argument that someone else made). Light Borrowing: The authors’ term for taking up genre-level features of another writer’s writing (e.g., using someone else’s writing as a mentor text for format, style, tone, etc.). Sociocultural Theory: A collection of related theories that attend to the social and cultural aspects of contexts in which people communicate and make meaning; see Perry (2012) for an overview. Affordance: The perceived properties of a tool that represent its potential use. These properties have social, cultural, and historical significance and meaning. Constraint: The perceived properties of a tool that represent limits of its use. Like affordances, these properties have social, cultural, and historical significance and meaning. Tool: Technical and psychological means taken up from the sociocultural environment that mediate social action ( Wertsch, 1998 ). Technical tools include material objects, such as pencils, paper, keyboards, and screens, etc. Psychological tools include means such as language, genre, conventions, etc. Inappropriate Borrowing: The authors’ term for taking up word/sentence-level features of another writer’s writing. This is typically referred to as plagiarism (e.g., copying or paraphrasing someone’s writing without attribution). Share Settings: The different file types within Google Drive can be shared with specific individuals, with anyone who is given a link to the file, or with anyone online. For each of these ways of sharing a file, access can be set to open editing or limited to view only or comment only.